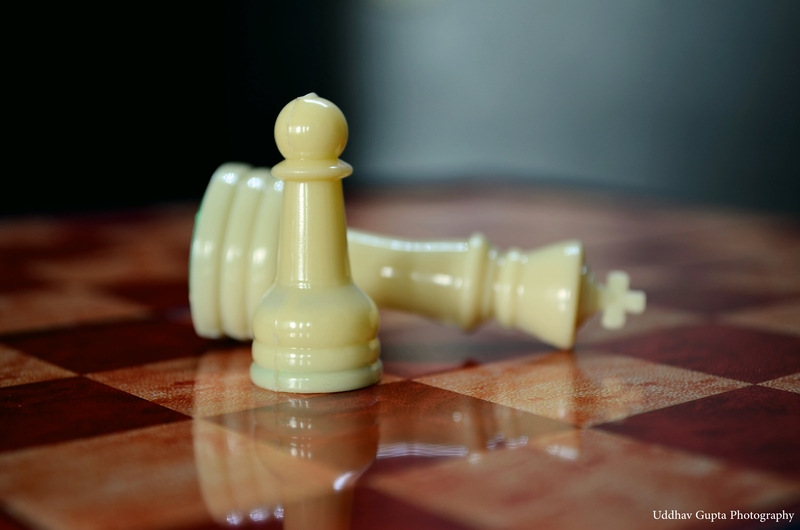 “After the game, the king and the pawn go back into the same box.” – Italian proverb. I am particularly fond of this proverb for the imagery it provokes, as well as its open-endedness. The thought of two chess pieces hopping over to their container before neatly arranging themselves in order is both satisfying and humorous. The kind of thing that allows the imagination to run free, like a child being presented with a blank piece of paper and an assortment of crayons. Scratch beneath the surface and the proverb deals with equality. Forget about someone’s size, age, gender or race – when it comes down to it, we are all one and the same as human beings. Why does this matter? It allows us to feel as though our lives have a meaning, a purpose. Apply for your dream job, enter a marathon, try out a new sport. You’ve got just as much of a chance of succeeding as anyone else in the world does. Just because you may not have as much experience as someone else does in a certain field, that’s not to say you can’t yield positive results. Conversely, this proverb also warns us of the dangers that pride can bring. The importance of being humble can never be underestimated. Don’t look down on the poorer man – recognize that he too has his own redeeming qualities, along with his shortcomings. Going back to the literal meaning, the pawn can be just as powerful as the king as far as the chessboard is concerned. It is too easy to dismiss somebody who appears small and weak: there is more than meets the eye. More often than not we judge a book by its stone cold cover. This can lead to underestimation and missed opportunities. Give people second chances in life – someone who leaves a bad first impression could well prove to be your best friend in due course. When all is said and done, everyone goes back into the box together. Talk to most footballers and they’ll tell you that moving from one club to another is not an easy procedure. You have to make new friends, adapt to a different tactical system and do all you can to get the fans on your side. These things don’t usually happen overnight. But if the case of Dave Waters is anything to go by, it sometimes takes just over a week for everything to click. Waters, 34, joined Fisher from Croydon 10 days ago, but his performances so far suggest that he has been playing for the Bermondsey side for a few years. The centre-half has notched three goals in as many games for the Fish – his opener in Tuesday’s 2-1 win at Rochester United was followed up by a quick-fire first-half brace against Lordswood on Saturday, helping his side to an eventual 3-0 victory. Waters has also looked a calm, authoritative presence in defence. He puts his head where most wouldn’t dare to put a boot and knows how to organise a back four. His defensive contributions have already yielded palpable results – Saturday’s shutout against Lordswood was Fisher’s first clean sheet since the end of January. Waters was suitably pleased with his team’s display against the Lords and was more than happy to get on the score sheet twice. “It was a big 3 points – we needed that.” He said. “Hopefully we’ll be fine in terms of staying up now. We just need to stick to the basics at the back and if we do that I’m sure we can pick up some more clean sheets before the end of the season. “I’m enjoying scoring goals at the moment – a lot of the players here take set-pieces really well, so as long as they keep on putting the right balls into the box and I continue to get on the end of them, we’ll score more from corners and free kicks. Waters is originally from Sydenham and currently lives in Farnborough. He has played for a handful of clubs in and around the London area, such as Beckenham Town, Greenwich Borough and Corinthian Casuals. 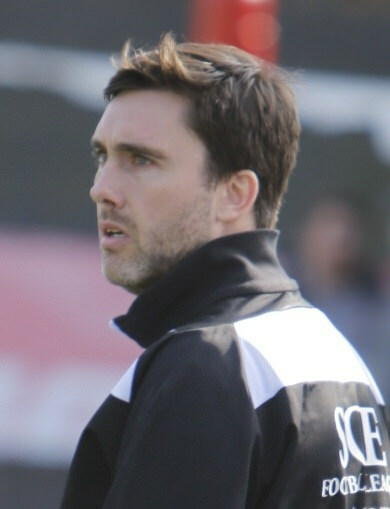 His decision to move from Croydon to Fisher was partly based on a conversation with the Fish boss Dean Harrison, who he knew before signing for the club. “I know Dean and he asked me to come down to Fisher and help the side to stay up.” He said. “My friend Terry also works with the sponsors of the Fisher kit so that was another link I had with the club. “Being from Sydenham, I’ve played football in Dulwich quite a bit before as it isn’t too far away. I used to play on the 7-a-side pitches just down the road from Champion Hill. 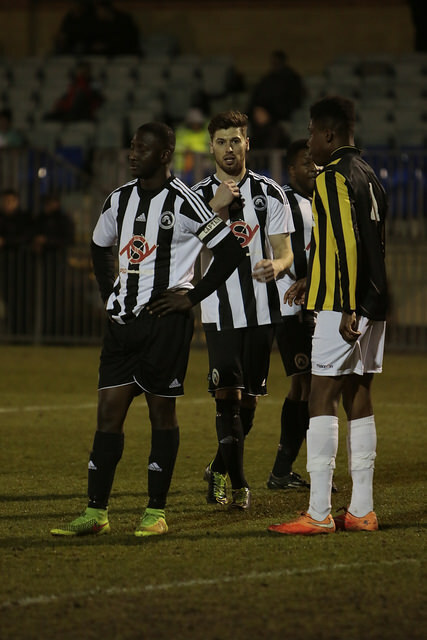 Waters faces a trip to one of his former clubs when Fisher take on Beckenham Town in a local derby later today, and the defender is targeting another clean sheet. 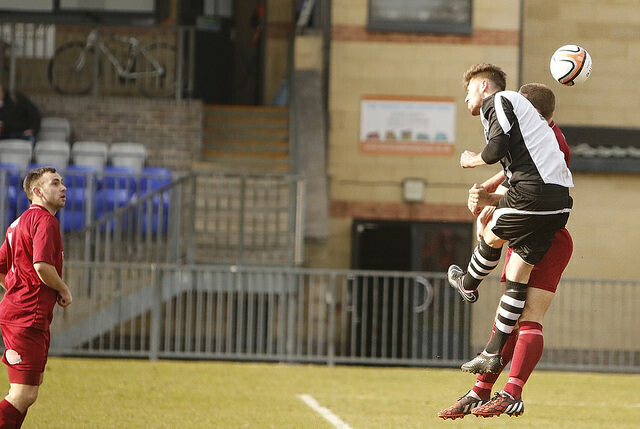 A win for Fisher, as well as a loss for bottom side Erith Town against Tunbridge Wells, would be enough to stave off any lingering fears of relegation for the Rotherhithe side. This sequence of results would see Fisher pull 13 points clear of Erith Town, who only have 12 more points to play for after today. And Waters says a solid defensive showing will be key in ensuring a positive result is achieved against rivals Beckenham. “We need to build on our defensive performance against Lordswood and keep another clean sheet at Beckenham” He said. “I know how they play – they attack very quickly on the break, so that’s something we have to be wary of. “If we don’t try any silly stunts in our own half – like we did against Deal and at times in the Rochester game – then we can get a clean sheet and hopefully grab a win as well. 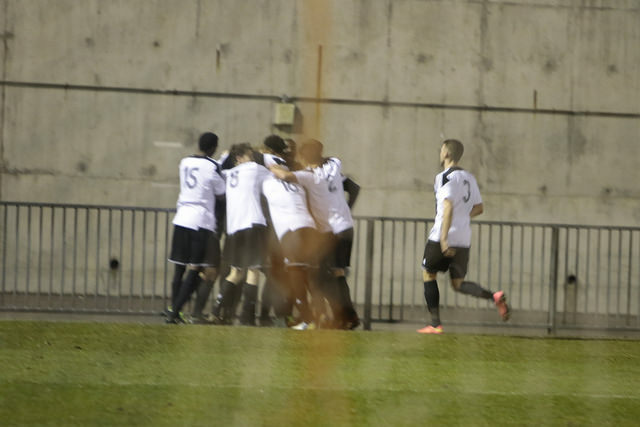 The home crowd at Eden Park Avenue inspired Beckenham to a stirring 5-4 victory over 10-man Cray Valley last Tuesday. Winger Travis Gregory plundered 4 goals for the Becks, taking his tally to 6 strikes in his last 2 games. Fisher know what Gregory is capable of, as the attacker scored a thumping 30-yard effort at Champion Hill when the two sides met in the reverse fixture in August last year. That match ended 3-3, with Beckenham coming from behind three times to salvage a point. The Fish will be looking to go one better than that result this time, and gain a three point haul. A win in the back yard of your biggest rivals – can you think of a more glorious way in which to confirm SCEFL survival? Nope, didn’t think so. Directions: the nearest railway station to Beckenham’s ground is Eden Park – trains run there directly from Victoria, Lewisham and Catford. There is no direct service from South Bermondsey. Venue: Champion Hill Stadium, Edgar Kail Way, Dog Kennel Hill, London, SE22 8BD. K.O: 3pm. Competition: Southern Counties East Football League. Admission Prices: £5 adults, £2 conc, free accompanied U16s. All good things come in threes. That’s a scientifically proven fact – don’t even try and argue against it. So wouldn’t it be just lovely if Fisher rounded off their triple header of home games with a third positive result in the space of a fortnight? It would be no mean feat, that’s for sure. Because standing in their way of five (or seven) points out of nine are the real Deal. A side who have scored a whopping 23 goals in their last six games. Three of those strikes, incidentally, came against Fisher in the reverse fixture on March 3. The Fish fought valiantly that night in Kent, but were ultimately undone by ruthless finishing and the absence of several first-teamers who couldn’t make the Tuesday night trip due to work commitments. That’s not to say that Saturday’s match is a home banker. Deal’s mega goal haul has been amassed with impressive victories over the likes of Canterbury (4-1), Holmesdale (6-0) and Lingfield (5-1). Even more astonishing is the fact that the Kent outfit have played all five of their league games since facing Fisher in the space of a fortnight. They’ve only lost one of those matches – a 3-2 reverse at Erith Town coming on Tuesday March 10 – and have won the other four. In other words: Fisher simply cannot afford to let in an early goal. It’s become a very bad habit of late – a bit like toenail-biting. What has made it even worse? The goals they have conceded have been god-awful – absolute stinkers from set-pieces. If there’s any solace to be taken, the Fish are yet to allow anyone but themselves to score a goal from open play at Champion Hill since February. Aside from the odd defensive lapse, the recent signs have been promising from Fisher. Midfielders Alfie Roche and Max Rothwell look a threat going forward, while Charlie Payne has been in superb form between the sticks. 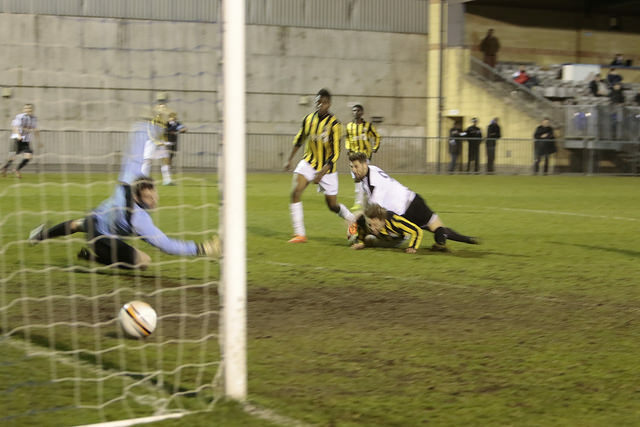 The main complaint from Monday’s last-gasp win over Erith Town was the quality of the passing. It was wayward stuff at times, but if the home side can sort that out and keep it tight at the back from the off, then this could prove to be a very even match-up. Key man: Luke Haidarovic. The striker has made quite a splash since arriving from over the pond last month. Blessed with an eye for goal and the kind of gritty determination that any marksman wanting to succeed at this level must have. The burly forward seems to be finding his feet in the SCEFL, after netting in each of his last two games. His most recent effort was as brilliant as it was crucial. Bravely lunging in between two defenders in the penalty area, the big man swept home Kieron Tarbie’s 90th minute cross in a flash. Having played at semi-pro level in Wales, Canada and the USA, it is safe to say he is not fazed by much on the pitch nor off it. FISHER FC striker Luke Haidarovic was happy to get off the mark for his new club on Saturday – and insists his team are headed in the right direction. The attacker, who joined the South Londoners last month following a spell in Wales, scored his first Fisher goal from the penalty spot in the 1-1 draw with Canterbury City. “Getting off the mark for the club was a really good feeling.” He said. “It was just disappointing not to get the three points. We absolutely dominated the second half and the slow start was what cost us. “In terms of the league, we can now kick on and show ourselves to be a very competitive side. “Our quality was evident in last week’s game against Phoenix as well as today. The more we play together, the better we’ll be in the future so things are looking up. We just need to keep going and continue to show our resilience. 10 minutes after drawing his side level from 12 yards, the forward crashed into the railings at the side of the Champion Hill pitch when trying to receive a pass. The 26-year-old injured both of his knees as a result of the collision, but thinks he will recover in time for the upcoming match against Erith Town on Monday. Despite the injury, the striker soldiered on until he was substituted off in the 74th minute – after which Fisher came desperately close to claiming all three points. The linesman’s flag ruled out a Jake McIntyre effort in the 88th minute – and Haidarovic thought his teammate was level with play when he fired past Shannon Harris in the Canterbury goal. “We all thought we’d won it late on, as Jake looked level – so we’re a bit aggrieved by that. “All in all it was a good performance from the boys though – that’s something we can build on. “Canterbury will be happier than us to come away with the point today. That was the only downer on the game. Overall there were more positives to take than negatives. The SCEFL is just one of many leagues that Haidarovic has played in. His path has not been the most conventional: born in Wolverhampton, he studied and played football in the United States for six years – as well as enjoying spells in both Canada and Wales. “I went to college in Dallas in America.” He said. “I played in different parts of the country and cwas out there for around six years. “I also spent some time in Canada, and before I came to Fisher I was at a club in Wales. The bitter chill of Bermondsey may be a far cry from Dallas’ extreme heat – but Haidarovic insists he missed the British weather while stateside. “Yeah, it’s not as dreary in the USA as it is out there, that’s for sure. “To be fair though, the heat was sometimes too much during preseason in the USA. It was over 100 degrees in the summer, it was quite brutal. In a way it’s quite nice to come back to the cold of this country. “Everything in America was totally different – especially the college side of it. Their style of football is completely different, so at first it was just about adapting to their way of playing. The 26-year-old is also relishing living in London for the first time, and says Fisher was the right choice. “I’m loving London so far, it’s a great city.” He said. “I’m pleased to have joined a club with such a great history and can’t complain about anything. So Barcelona’s fans are angry with Real Madrid. That’s hardly a shock. 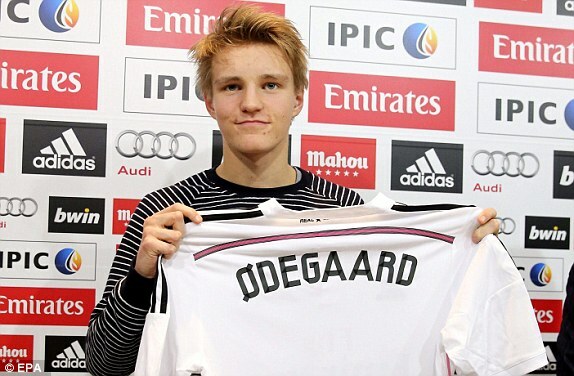 At the centre of their ire is Los Blancos new signing Martin Odegaard. Considering that Barcelona are unable to sign anyone until 2016, this shouldn’t come as a surprise either. It’s just jealousy. Child talk. A ‘dog bites man kind’ of story. Nothing to see here, move on. Except for one reason I found this vitriol, this utter contempt, more amusing than usual. Fernando Torres scores two decisive goals to knock city rivals Real Madrid out of the Copa Del Rey at the last 16 stage. 10:49 PM – Barcelona v Atletico Madrid. Copa Del Rey quarter final. Atletico defender Juanfran’s challenge on Sergio Busquets allows Lionel Messi a chance to give the home side the lead. Messi sees his penalty repelled by goalkeeper Jan Oblak, but rams home the rebound. 11:11 PM – Real Madrid FC’s official website and Twitter account announce the signing of 16-year-old Norwegian wonderkid Martin Odegaard. “That’s not fair!” shouted the supporters of the Catalan side. How could the establishment that they hate the most opt to inform the world of their newest ‘Galactico‘ at this moment in time? Just after the end of a game in which their two biggest rivals were doing battle, a game in which they might have been taking part had the stars aligned differently just a week ago? Well, that’s good marketing for you. Real grab the headlines, and make Barca want to grab them by the throat and fling them around the room. Pretty funny stuff. As if the capital club were going to release this information at any other time. And as if Barcelona fans needed another excuse to implode, after the recent not-so-behind-the-scenes shambles involving Messi, Luis Enrique, and the club’s board of directors. Whoever it was that pressed ‘send tweet’ at 11:11 PM must have cracked the wryest of smiles immediately afterwards. This is exactly the kind of quirk that makes the Barcelona-Real Madrid relationship so entertaining, so utterly chucklesome. Imagine if their duopoly existed in a magical fantasy world. One in which hate wasn’t a thing. One in which all was amicable and well-manned. It would be absolutely rubbish. 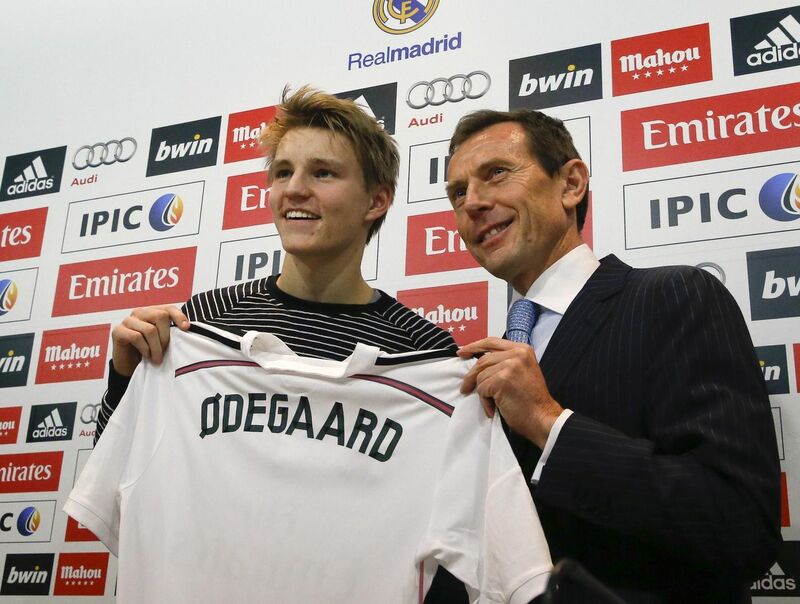 Another announcement, made later in the day on Thursday, was that Odegaard would go straight into Real Madrid’s B team squad. There, he will likely play in midfield alongside Enzo Alan Zidane Fernandez. Son of the great Zinedine. The two young pups will get to learn from the best in the business when they train with the big boys of Real Madrid A. 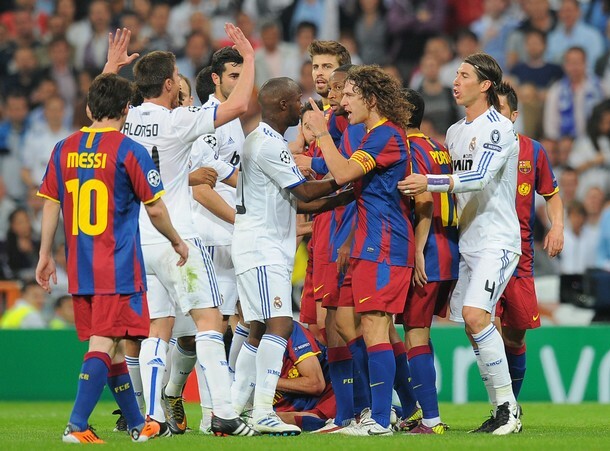 But more importantly, their hatred for Barcelona will be allowed to foster and flourish. 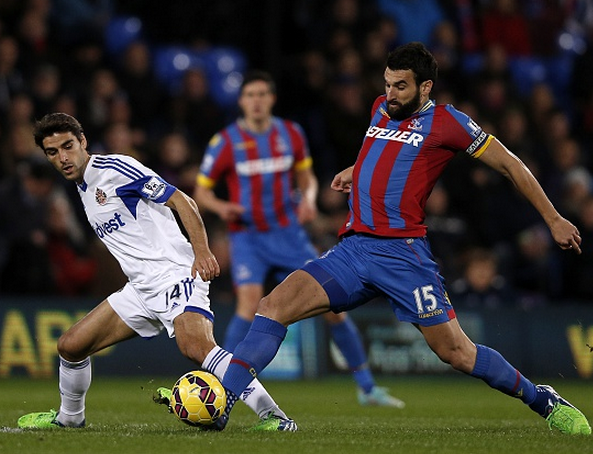 “He’s just too good for you” rang out from the Holmesdale stand last night – a familiar sound. Wilfried Zaha showed flashes of the form which earned him a lucrative £10m move to Manchester United in January 2013. But if chants praising Palace’s prodigal son evoked great memories, then the final result served as a sobering reminder of tough battles that lie ahead. Ironically, the Eagles were not quite good enough. Following Wes Brown’s calamitous own goal in the 55th minute, the onus was on the home side to go on and grab a much-needed win. This worked in Sunderland’s favour, as the Black Cats pounced twice on the counterattack in the second half. Both finishes were clinical. 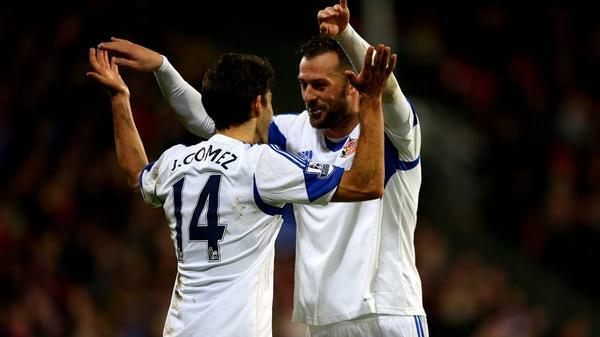 Jordi Gomez and Steven Fletcher demonstrated fine composure – a trait that Sunderland were lacking at both ends of the pitch in their 2 previous Premier League fixtures. In fact, the manner in which the Mackems snatched victory at SE25 was all too familiar for the opposition on the night. With an astute defensive display and devastating efficiency on the break, the away side appeared to have taken a leaf out of Palace’s book. Poor defending, in particular for Fletcher’s opener, didn’t exactly help. But the real regret will be a failure to capitalize on numerous set pieces. Although Zaha’s trickery permitted the winger to manoeuvre himself into plenty of promising positions, a final product was missing. So the best route to goal was seemingly via the corner flag. That said, delivery from set plays proved as poor as the full-time score would disappointing. Bolaise hammered ball after ball at the first man. The players waiting in the penalty area had nothing to feed off. Ffrustration began to grow around Selhurst Park. Even substitute and regular corner taker Puncheon was unable to provide his teammates with adequate service. Back to the drawing board before Saturday’s match at Old Trafford, it seems. And Mile Jedinak’s dismissal? It was just. The Aussie must show more discipline – both yellow cards were unnecessary. As Warnock’s rant and subsequent fine following the Chelsea match showed, releasing pent-up anger can be costly in the Premier League. I can empathise with the Sheffield-born manager. His ire is easy to comprehend, but just as easy for the FA to punish. Currently, all top-flight bosses find themselves as delicately poised as Nik Wallenda crossing the Chicago skyline. 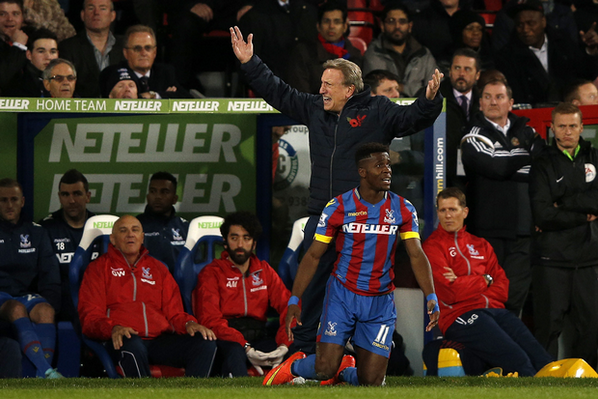 To say the same of Palace’s league position would smack of exaggeration: it’s only November. Increasing negativity could easily be offset come Saturday evening. For one, Manchester United will be forced to play a makeshift defence this weekend. Another thing: look at what has happened to Swansea recently. A poor run – 2 points collected from 4 games – wrought by refereeing troubles left a bad taste in the mouth. Then, they picked themselves up to gain an impressive victory over Leicester, and earn a creditable draw at Goodison Park. I’m not suggesting that a haul of 4 points from 2 games against Manchester United and Liverpool is probable – but it is possible. ‘What do you want to be when you grow up?’ – a question that we are all asked at some point during our younger years. The Arsenal and England midfielder was an all-round sportsman during his school days. He was on a sports scholarship at St John’s College in Portsmouth – an independent school which encouraged rugby and cricket but didn’t offer football. Oxlade-Chamberlain joined the Southampton football Academy at the age of seven. Before signing a professional deal with the club, he was scouted by London Irish. ‘The Ox’ used to line up at scrum-half or full-back and admits he enjoyed the sport until everyone got older and games became more physical. 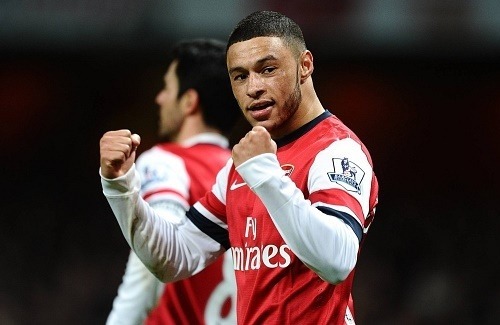 One particular scout enquired if Oxlade-Chamberlain would be interested in a trial with London Irish. Southampton denied him this opportunity, as they were adamant that he would make it as a footballer. A similar situation arose when the winger was offered cricket trials with Hampshire. A competent all-round player, he was the opening batsman for South East Hampshire. Alas, he would make his name in the footballing world instead – completing a £12million move from Southampton to Arsenal in August 2011. Ramos’ family have always been extremely fond of bullfighting. It is a popular sport in his hometown of Camas in Seville, and as in the above picture, the defender has celebrated important victories for both club and country by playing with a matador’s cape. The hot-headed defender believes that he has some matador qualities. He claims he considered a career in the sport, but said that he feels happiest when playing football. In 2009, Ramos’ enthusiasm for bullfighting landed him in hot water. The Spain international was suspended for his team’s match against Valladolid in the Bernabeu, and watched on from the stands during the first half. In the second period, he was nowhere to be seen. The following Monday, pictures of his whereabouts emerged: he had been watching his matador friend Alejandro Talavante perform in the famous Las Ventas Bullring in Madrid. The defender later apologized for his actions. The 28-year-old hopes to participate in bullfights in Madrid and Seville once he has hung up his boots. He appears to have a particular affiliation with the colour red. Ramos has received 19 red cards during his Real Madrid career – meaning he has been sent off more times that any player in the club’s history. When Drogba was 21, he believed he did not have what it takes to succeed as a professional footballer. At the time, in 1998, PSG were chasing his signature. He declined the offer, and instead went to Le Mans in Ligue 2. There was an ulterior motive behind the Ivorian’s decision – he wanted to study accountancy at the university in the city. Little did young Drogba know that he would enjoy his breakthrough season in his first year at the club. He quit university and signed his first professional contract with Le Mans in 1999. The striker has never looked back since. Despite initially failing to convince at Chelsea, he went on to score 100 goals in 226 appearances during his first stint in West London. Not to mention 4 FA Cup winners medals, 3 Premier League trophies, 2 League Cup successes, and of course, European club football’s Holy Grail – The UEFA Champions League. Klose was born in Opole, Poland in 1978. As an 8-year-old, he moved to Kusel, a town in Eastern Germany, with his father – and at this point Miroslav knew only 2 words of German. He soon integrated into the local community, playing football for local team SG Blaubach-Diedelkopf, who were in the German seventh division. At the same time, he trained to become a carpenter as well as working as a bricklayer. The late bloomer eventually carved out a career in football, as he joined the reserve team of former 4th division club club FC Homburg when he was 20. A year later he earned a move to Budesliga outfit FC Kaiserslautern. In his second season he was the league’s second-highest goalscorer – notching 16 times. Incidentally, this is the same number of goals that Klose has scored at World Cup finals – an all-time record. The striker scored all of these goals from a distance of 12 yards or closer – a true poacher. He also demonstrated that he still knows how to pull off brilliant backflips at this summer’s torunament in Brazil. Until the age of 12, the Liverpool hitman envisaged himself in the WWE ring instead of lighting up the Premier League. The England international realised that he wasn’t going to make the grade as a wrestler when he joined secondary school. Admitting that he did not have the skills required to compete with the likes of Big Show and Stone Cold Steve Austin, he opted to concentrate on football instead. As it turns out, football is something Sturridge is pretty good at. After four fairly dismal years at Chelsea, where he was often played out of position, Sturridge has netted an impressive 36 goals in 52 appearances since joining Liverpool. He’s not a bad dancer either, mind.